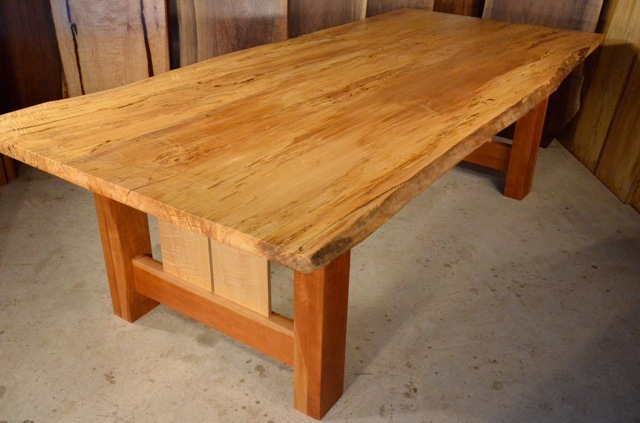 102″ long x 45/49″x1.5″ thick spalted maple old wood dining room table with cherry and curly maple legs. This highly figured Spalted Maple is very unusual. This highly figured Spalted Maple is very unusual. Custom built top and base on this old wood dining room table.